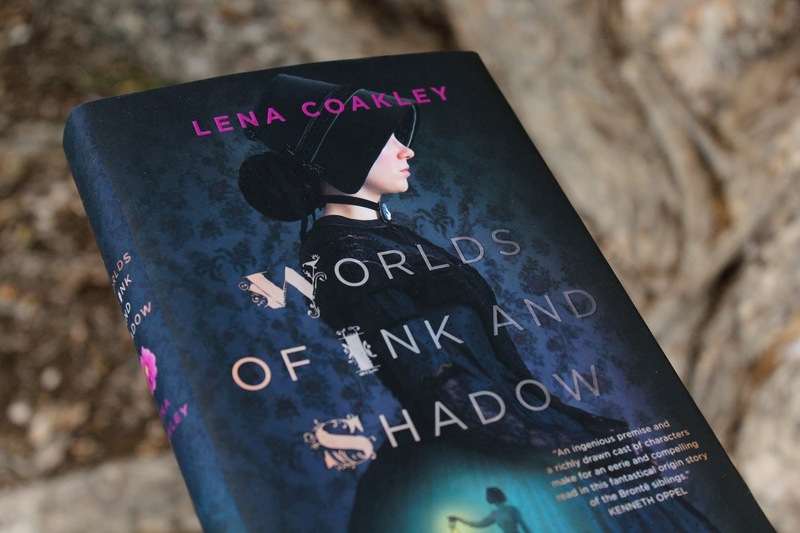 Bookworm Boutique: Review: OwlCrate's January 'Magic' Box! Review: OwlCrate's January 'Magic' Box! The ever so wonderful OwlCrate sent me their January box, and to be honest, I kind of freaked out. Not only was the theme for Jan's box 'Magic' but we were also given a hint that the boxes would contain a full sizes Pop! Vinyl. Previously we've been lucky enough to get a key chain sized one, but this time it'd be the ones that everyone loves to decorate their shelves with. 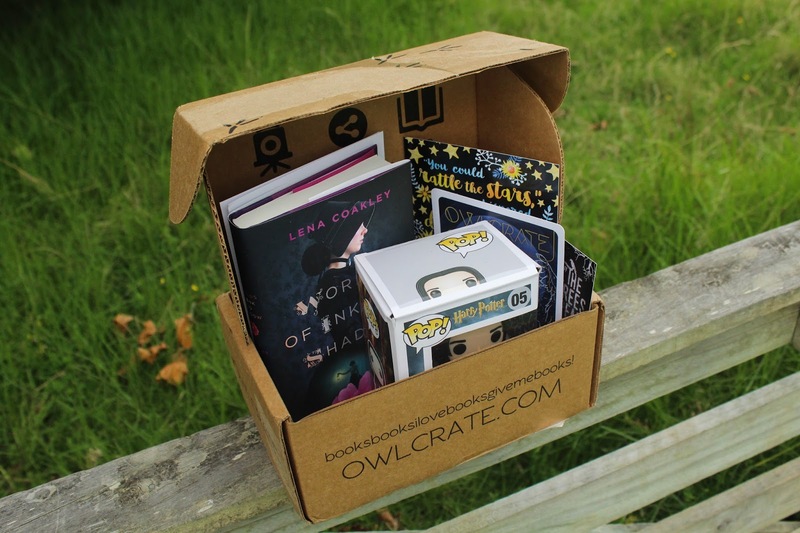 If you're looking at this post and you don't know what OwlCrate is, OwlCrate is a monthly Young Adult subscription box. Each box includes one hardcover, new release Young Adult book and 3-5 bookish goodies. The subscription costs $29.99 per box + shipping, if you stick around to the end of the post, they'll be a 10% discount code for your first box! So, let's see what was inside January's box! First up, the Funko! 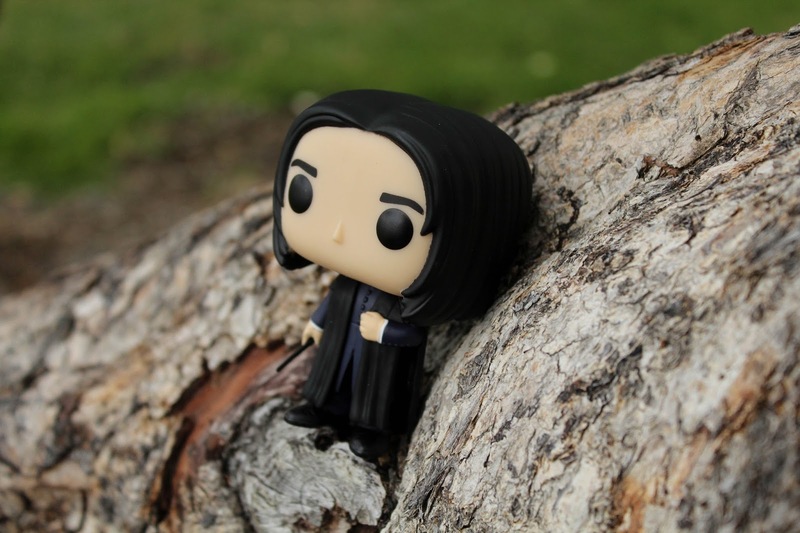 OwlCrate sent out 5 different Harry Potter Funkos, I was lucky enough to receive Snape (as I already had the trio), I would have also loved to receive Dumbledore! Because a lot of bookworms already had the trio, a very clever subscriber to OwlCrate set up a Facebook page where people could trade their double ups for a different one. I'm so excited to put Snape up on my shelves! Also included in the box was this white chocolate and mint 'Patronus' lip balm which is super cute, and let's be real, who doesn't need a million lip balms? They always seem to go missing... 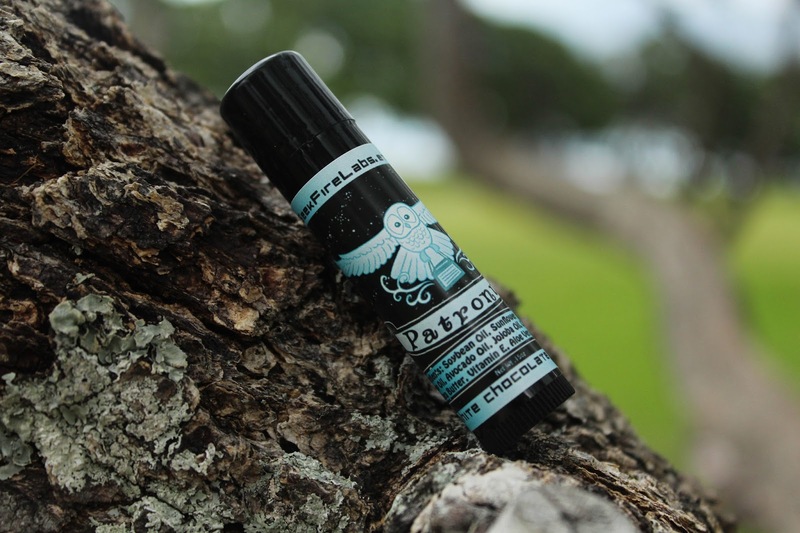 This particular lip balm was made by Geek Fire Labs and OwlCrate assures us that it'll help keep those awful Dementors away! 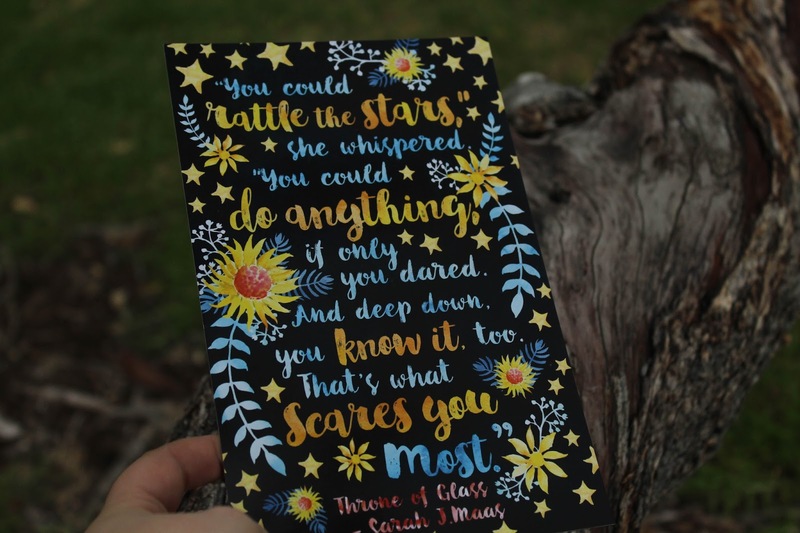 Next up was this art print by EvieBookish, with a quote from Throne of Glass by Sarah J Maas. The print is available via EvieBookish's Society6 or Redbubble page. I think I'll be framing mine and adding it to my bookshelves for sure. 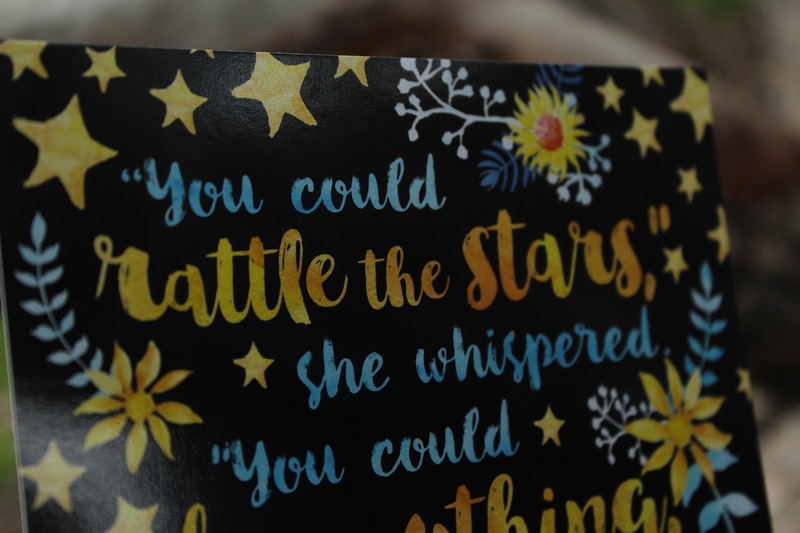 Another item that EvieBookish contributed to the Jan OwlCrate was this bookmark inspired by The Raven Boys by Maggie Stiefvater. 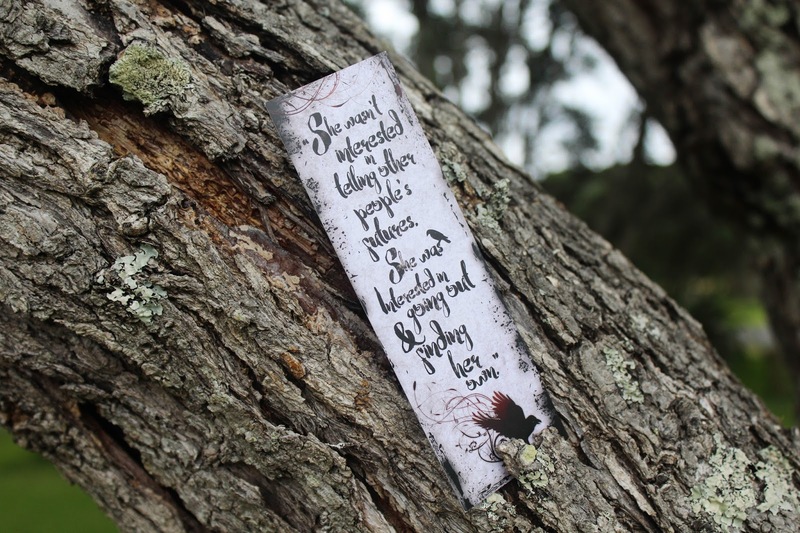 I haven't had a chance to read the series yet, but I will certainly be using this bookmark when the time comes to knock The Raven Boys off my TBR pile! "Charlotte, Branwell, Emily, and Anne. The Brontë siblings have always been close. After all, nothing can unite four siblings quite like life in an isolated parsonage on the moors. Their vivid imaginations lend them escape from their strict, spartan upbringing, actually transporting them into their created worlds: the glittering Verdopolis and the romantic and melancholy Gondal. But at what price? As Branwell begins to slip into madness and the sisters feel their real lives slipping away, they must weigh the cost of their powerful imaginations, even as their characters—the brooding Rogue and dashing Duke of Zamorna—refuse to let them go. 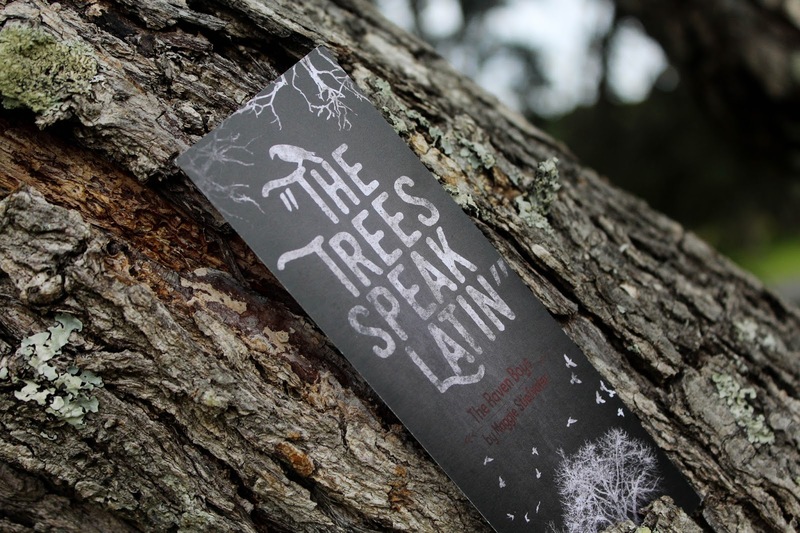 This richly conceived, haunting fantasy draws on the early writings of this most famous literary family to explore the deathless bonds between sisters and brothers, between writers and their creations." I don't know about you, but this is exactly the kind of book that I love to read! 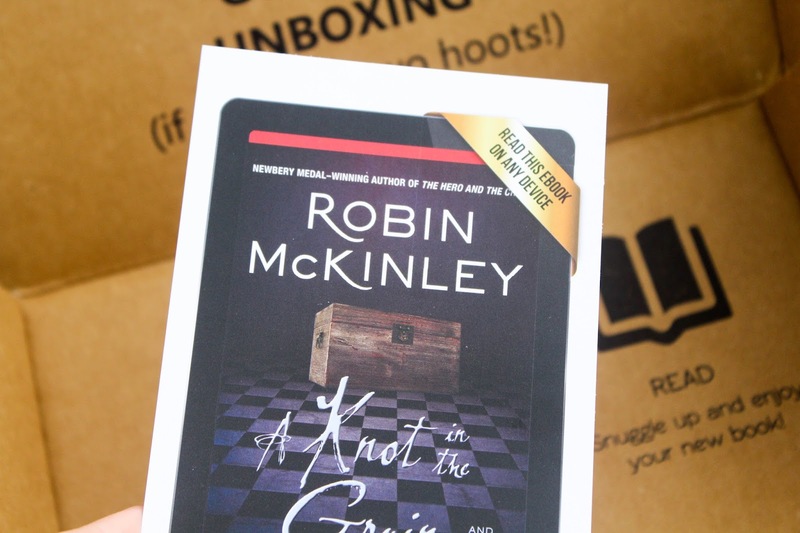 OwlCrate always does a great job of adding books to my TBR, even when I'm not receiving a box. 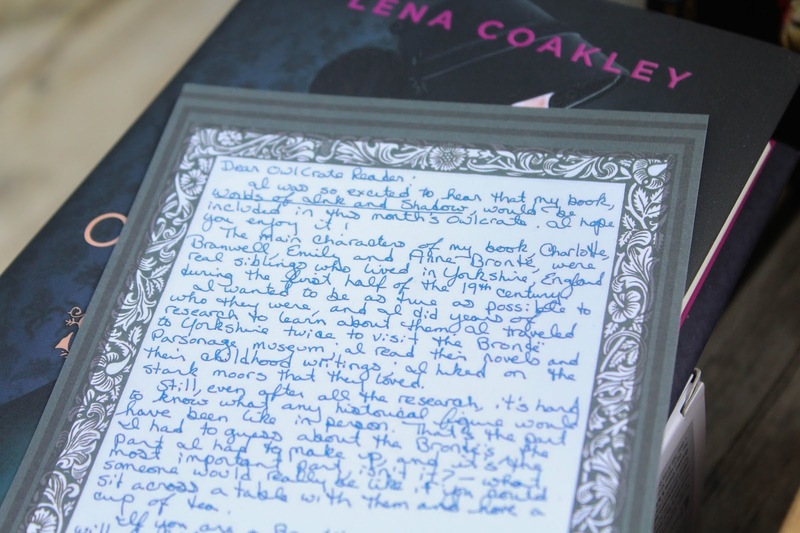 Also included with the book was an exclusive letter to OwlCrate readers from Lena Coakley and a paper doll kit! Lily. She has the power to heal, but no speech - until a mage hears words from her mind. Ruen. The princess was abandoned by her uncle deep in a cave to die at the hands of a stagman - who will surprise fate. Erana. Given as a babe to a witch, raised beside the witch's troll son, she learns love comes in many forms. Coral. The lovely newcomer consents to marry an older widower who soon wonders why she wants to live at Butter Hill Farm. Annabelle. In the attic of their new house, the teen finds a knot that leads her on a magical mission. The book is originally $6.99 for the eBook but the card gives a code that takes $3 off the price. Overall, the January 'Magic' OwlCrate was freaking amazing, as always. My favourite item definitely has to be the Pop! Funko, but I'm also in love with the scent of the lip balm. Coupon code time! If you're interested in signing up for OwlCrate or giving a box to a friend as a gift, you can use the code BB2016 at checkout to receive 10% off the price of the box. February's theme is "Sci-Fi Love", OwlCrate writes "This box will contain a sci-fi novel that will make you swoon, as well as a bunch of items celebrating science fiction stories we love. It's a super fun box and perfect for the Valentines season!" so make sure to head over to their website and sign up! 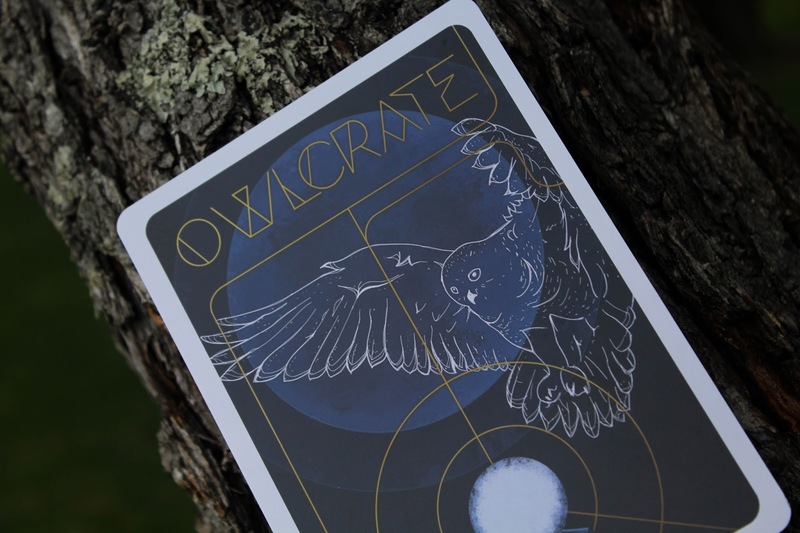 I hope that you guys enjoyed this post about OwlCrate as much as I loved writing it! 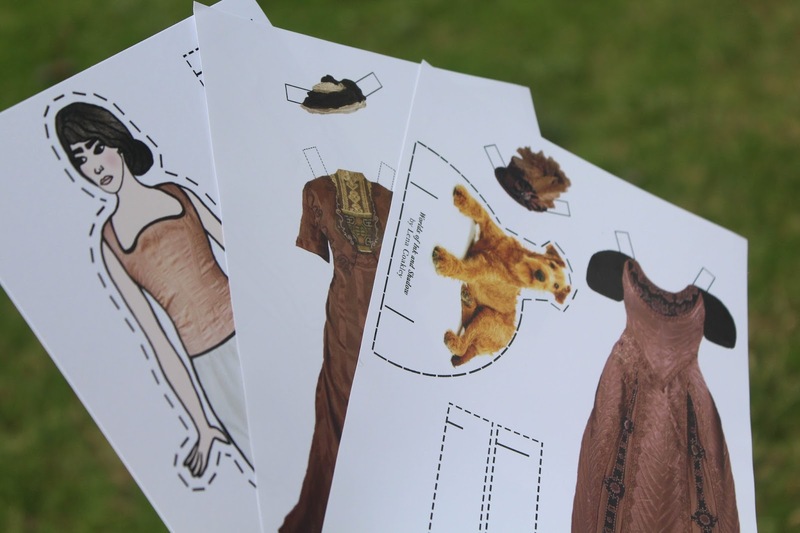 Did you receive a Jan OwlCrate? What was your favourite item? Are you signed up for February? Let me know in the comments below and don't forget to subscribe! Just signed up for a box!! It was a little expensive after the exchange, but I'm still excited to check it out. There's nothing better than a good surprise! Aww, Funkos are so cute! Every book-related IG page has them, but they are not easy to get in my country :/ The box looks cool! Maybe I'll try one.